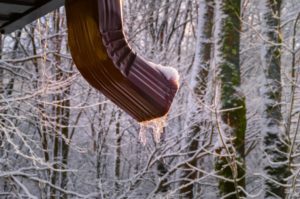 Home > McClain Insurance Blog > Winter > Does Homeowners Insurance Cover Frozen Pipes? Does Homeowners Insurance Cover Frozen Pipes? 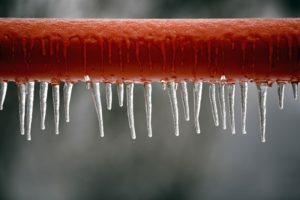 Winter weather conditions can cause a homeowner’s worst nightmare — frozen pipes! When water freezes, it expands by about 9%. This causes increased pressure in your home’s pipes, which can lead to pipes cracking or bursting. A 1/8-inch crack in a pipe can spew up to 250 gallons of water a day, causing significant damage. Most home insurance policies cover “sudden and accidental” discharge of water from a plumbing source. 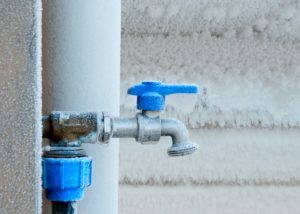 Damage caused by frozen pipes usually qualifies as “sudden and accidental.” This assumes you use reasonable care to maintain heat in your home and/or shut off your home’s water supply during a period when your house is unoccupied. Homeowners insurance policies do not cover the cost to repair the section of broken pipe. Remove garden hoses from outdoor water faucets. Faucets are unable to drain properly when a hose is attached, which can lead to faucets freezing and breaking. After hoses are removed, cover all exterior faucets. Faucet covers are inexpensive, easy to install, and can be reused year after year. Some homes also have water shut-off values that allow you to turn off water to outside faucets. If your home has an exterior shut off valve, turn off the water and drain pipes prior to installing faucet covers. Insulate pipes near your crawlspace, attic, and the exterior walls of your home. This is where the chance of freezing is greatest. Pipes can be insulated in a number of ways, including using snap-on foam insulation or UL-approved heat tape. Be sure to follow manufacturers’ installation instructions. Keep your home heated to 55°F or higher even when you are sleeping or out of town. Open kitchen and bathroom cabinet doors to allow warm air to circulate around undersink plumbing. Turn on hot and cold faucets near the exterior walls of your home and allow a small trickle of water to run overnight. This keeps water moving through your pipes and will relieve pressure should they freeze. Stagnant water freezes easier than running water. If you will be away from home for an extended period, turn off the main water supply to your house and drain the pipes. We recommend this for those with secondary or vacation homes in cold areas. Agent Ashley Abrams has personal experience with this. The pipes in her cabin in Leavenworth, Washington, froze the one time someone forgot to drain them. Before attempting to thaw a frozen pipe, open the faucet the pipe runs to. This will allow water to flow through the pipe and relieve any built-up pressure. Apply heat to the frozen pipe with a heat gun or hair dryer. Start by warming the pipe as close to the faucet as possible, then work your way toward the coldest section of pipe. Never attempt to thaw a frozen pipe using an open flame. If you’re unable to locate or access the section of frozen pipe, call a plumber for assistance. What Should I do if a Frozen Pipe Bursts? This is a worst-case scenario. If a frozen pipe bursts, turn off your water supply immediately to prevent additional damage. Then, call a water restoration company. Professional water restoration companies have the equipment necessary to dry out your home and minimize further damage. In the Everett, Washington, area, we recommend Alpine Cleaning & Restoration and ServiceMaster. 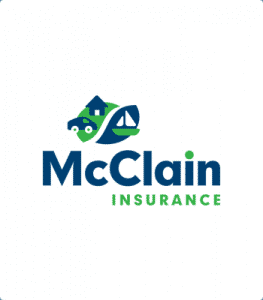 Finally, call your local, independent insurance agent – like McClain Insurance. 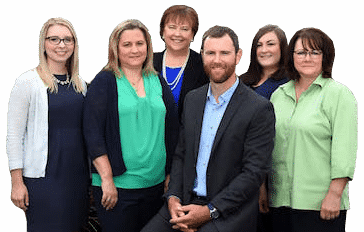 Your agent can explain what your insurance policy covers and assist in turning in a claim if necessary.